It was only twenty years ago that a university degree was seen as a guaranteed passport to success. These days a degree will cost more than fifty thousand pounds on average and there are many other routes into the job market that won't land a young person with a substantial burden of debt at the start of their career. On the other hand, a degree opens up opportunities that aren't otherwise available and the evidence still suggests that in the long run you might be better off. Degree, apprenticeship, straight into employment? Tallis staff are pretty expert about these questions and we work closely with all of our students to explore the options and give every student customised advice about what their choices are. A lot of opportunities come our way, also, and some of these are below. Need help creating a C.V.? The UK University & Apprenticeship Search fair takes place at Arsenal FC’s Emirates Stadium on Friday 1st March. This inspirational and informative event showcases over 100 exhibiting universities and apprenticeship providers. Universities will include: Russell Group, red brick, private and modern institutions. Apprenticeship exhibitors from many of the UK’s top companies will represent sectors such as finance, media and engineering. The fair will also host local colleges and student related organisations and feature interactive zones covering STEM, Creative and Sport. The higher education and career fair also features a full timetable of talks by experts covering topics including: UCAS personal statements, student finance, higher & degree apprenticeships, and Oxbridge applications. All of these will take place within a large theatre style hall. In addition there will be interactive stands demonstrating opportunities within STEM and creative fields. The event is absolutely perfect for students in Years 12 and 11 as well as undecided Year 13s. Students will also receive a free options guide, calendar, pen, and lots of other freebies from exhibitors. To reserve places, or to find out further information please email: jude@ukuniversitysearch.co.uk or call 020 7609 4254. Why does KPMG recruit apprentices? Quite simply, because they're our future. Research shows there's a growing pool of talent considering starting a career straight after their A-Levels rather than going down the traditional university route. We think these students have just as much potential to succeed at KPMG as our graduate trainees and our entry-routes reflect this belief. Our drive to recruit trainees into KPMG is part of our long-term recruitment strategy to attract talented people from all walks of life. We're really proud to say our trainees come from all kinds of diverse backgrounds â€“ so you can rest assured that anyone you know will fit in just fine here. KPMG360° is our innovative apprenticeship programme, giving students the chance to join KPMG and work with some of the best and brightest in the business world. Importantly, it includes a foundation year that's specifically designed so they can experience all areas of the business before they go on to choose an area of specialisation and gain a professional qualification. KPMG360° Digital is a new four-year apprenticeship programme that combines academic study with practical work experience. Based in London, Leeds or Manchester, you'll undertake varied work experience with technology teams across the firm. At the same time, you'll also study for a BSc degree in Digital and Technology Solutions with our training provider, BPP University. KPMG Discovery is for Year 12 students looking to gain work experience, an insight into KPMG and our departments. This two, three or five-day (depending on office location) programme will give them useful industry knowledge, career opportunities and the chance to develop the skills they'll need to apply for a role with us. Our apprenticeship programmes offer the training and support to help students reach their full potential. We're looking for ambitious, bright, motivated students who are interested in building a long-term career in business at a leading professional services firm. Apprentices are paid a salary of £9000 and they are assigned an individual mentor who helps them devise Individual Learning Plans and aids their professional and personal development throughout the year. Contact Robyn John-Tennuchi for more information. Check out this great resource to help you consider your Post 16 choices. Why not visit the Moving on website and download the free app? Check out these inspiring stories. Check out the options for accessing specialist Careers Advice. Check out this great advice for writing your CV. 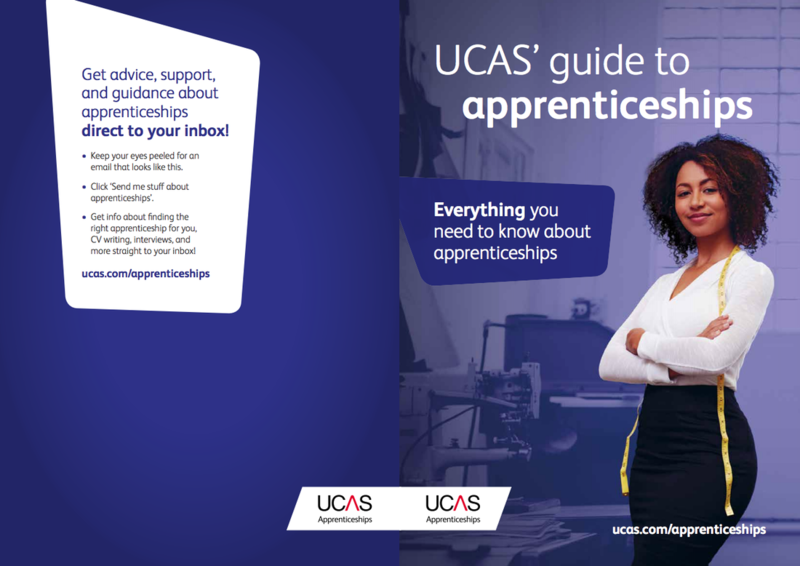 Check out the Career Skills pages on The Guardian website containing fantastic advice and support for those wishing to apply for an apprenticeship. Research shows that you can and do increase your self-confidence and self-esteem, develop a range of communication skills and improve your ability to work with other people through volunteering. It can help you to engage more effectively with others whilst learning or being trained. You can also develop practical skills related to your specific experiences of volunteering. Check out the V inspired site for more information. Some organisations provide entry level opportunities for students who are about to finish their A levels but do not necessarily want to go on to university. Check out The Brokerage, a City of London Corporation funded internship programme, that provides paid internships to students following completion of their A levels or equivalent qualifications. If you're interested in a career in the Media, check out the excellent Open Doors website. 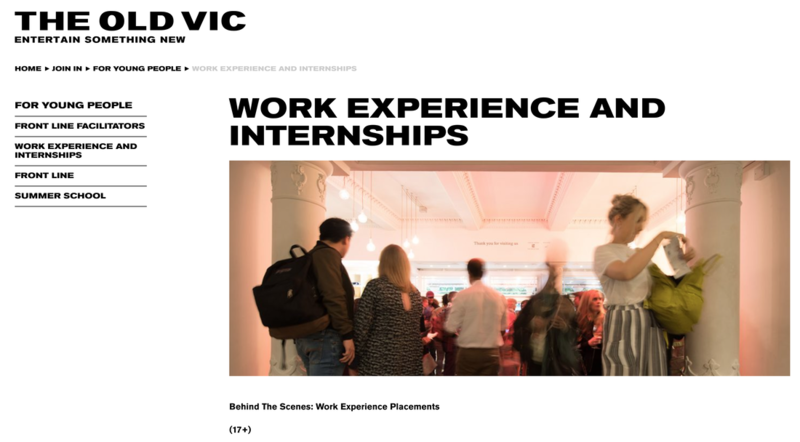 Check out the Year in Industry site for help getting a high quality placement during your gap year. We provide high-quality, paid placements for students in their gap year before or during their degree course. There are placements for students interested in all areas of engineering, science, IT, e-commerce, business, marketing, finance and logistics. www.clcbuildingfutures.org - information on Jobs, Apprenticeships, Careers fairs and part time and temporary job vacancy websites.